While crisscrossing the green countryside, the visitor discovers vast pastures: the milk production in Haute-Marne is abundant. You will be seduced by the quality and diversity of delicious local cheeses often unknown. Haute-Marne ranks third in the production departments of Emmental. Production dates back to the last century, with the installation of Swiss cheese makers in the department. Today, the production is artisanal or industrial with Entremont in Montigny-le-Roi. 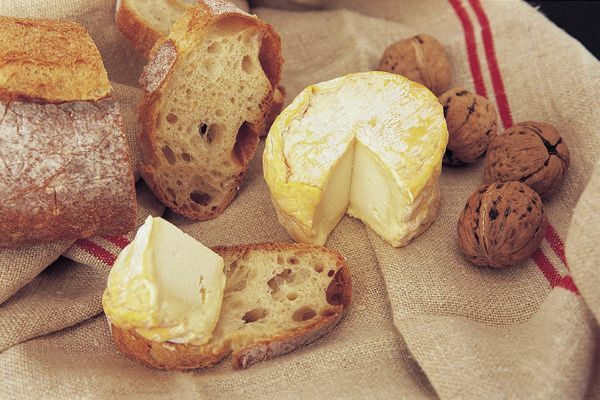 Among the most typical are the cheese of Langres, whose Protected Designation of Origin (PDO), recognizes a tradition and expertise dating back to the eighteenth century at least. It is a cheese made with whole cow's milk, soft and washed rind. It is characterized by its orange color and its bowl, a distinctive sign that is essential for obtaining AOP. It is sometimes refined with marc champagne or burgundy which reinforces its typicity. There is no review about Syndicat Interprofessionnel Du Fromage De Langres, be the first to leave one !